Each week, this important article will provide the standings, power rankings, and recent transactions for every league member. 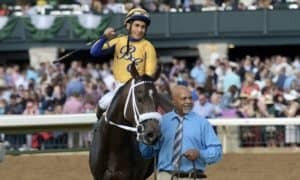 Not only will you see the latest claims in the league (which will show you what horses might be up-and-coming), but you will also get updates on the runners as they prepare for their next starts along the Kentucky Derby Trail. 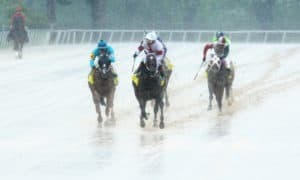 This past weekend, we saw three Kentucky Derby prep races. Some went as expected, while others gave us some surprises. Let’s see how it all shook out in the fantasy league. 1. Jon White/Ryan Stillman – There isn’t much new to report for this team. They are still a solid #1 in the Power Rankings again this week. Next week will be big for them. 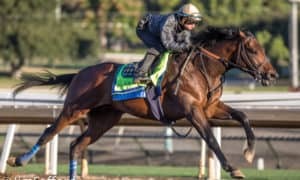 War of Will is scheduled to enter the Grade 2 Risen Star Stakes on February 16, and their top pick, Improbable, continues preparing for his 3-year-old debut with solid works at Santa Anita. 2. 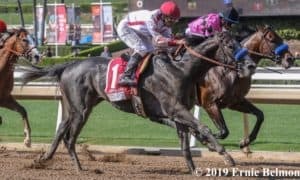 Aaron Halterman – It was a big weekend for this team with Mucho Gusto and Gunmetal Gray finishing 1-2 in the Grade 3 Robert B. Lewis Stakes. That outcome gives him a solid lead; however, he may still be lacking a true star in his stable. Still, this is a team built to get solid points throughout the entire Kentucky Derby Trail. 3. 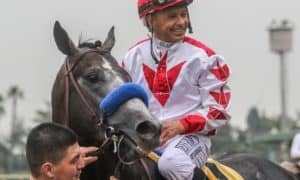 Mike “Saratoga Slim” Spector – Last Saturday, Federal Case disappointed for this team in the Grade 2 Holy Bull Stakes, while Kingly similarly struggled in an allowance event at Santa Anita last Thursday, finishing second. However, he still has some solid horses in his stable, like Instagrand, who might be the most talented horse in the entire crop. 4. 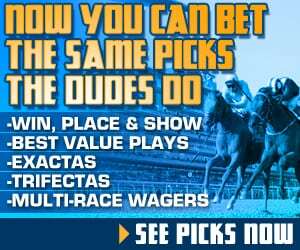 Patrick “Mad Dog” Meagher – We’ll finally get to see what this team is made of when Knicks Go runs in the Grade 3 Sam F. Davis Stakes at Tampa Bay Downs this weekend. The team sits in a very solid spot right now, especially if some of his established horses start showing up with big efforts in the bigger races. 5. 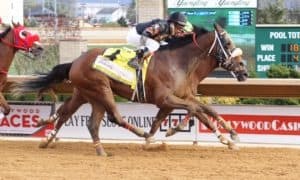 Dan “Wise Dan” Waite – It was a tough blow to this team when Maximus Mischief finished third in the Grade 2 Holy Bull Stakes as the heavy favorite. 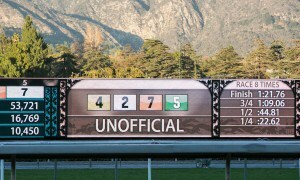 Then he took another blow when Nolo Contesto scratched from the Grade 3 Robert B. Lewis Stakes. He should not panic, though, as there is still plenty of potential on this roster. 6. Jared Welch – This is a huge weekend coming up for the defending champion. 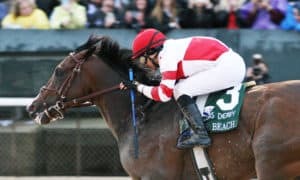 Kentucky Wildcat is set to make his 3-year-old debut in the Grade 3 Sam F. Davis Stakes, where he could be joined by Country House, an impressive maiden special weight winner last time out. This team could still be dangerous if either one of those develops into a star. 7. 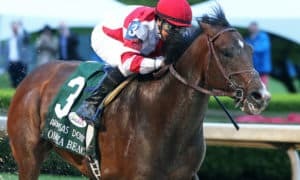 Brandon “B$” Bauer – We could finally see some action from this team this weekend with Tacitus and So Alive both probable for the Grade 3 Sam F. Davis Stakes at Tampa Bay Downs. 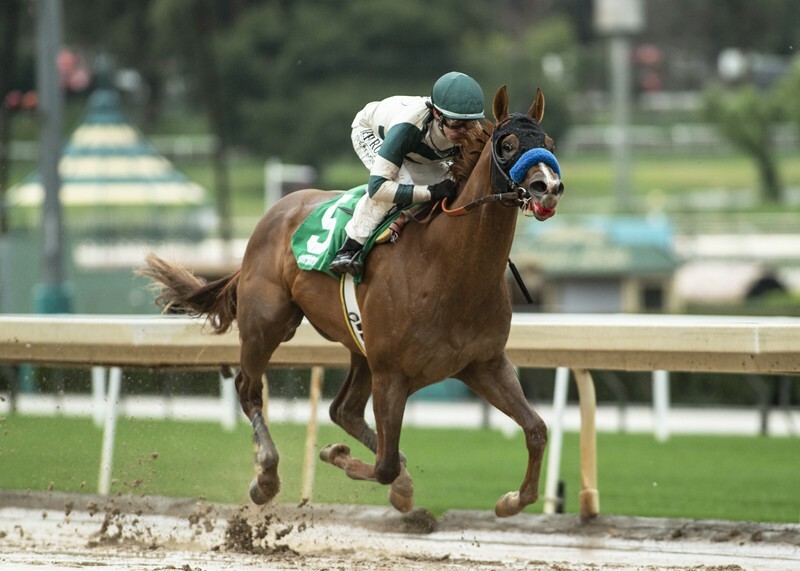 He also will see his first round draft pick, Coliseum, return in the Grade 2 San Vicente Stakes at Santa Anita. He won’t get points for the race, but it will be critical for him to get back on track with a win. 8. Paul “Free Beers” Withrow – In a complete surprise, this team picked up Roadster, who becomes the first horse to be dropped by one team only to be picked up by another. Now, this team has two Baffert horses; however, it is very clear their hopes and dreams will rest on the shoulders of Game Winner. The rest of this roster is sketchy at best. 9. 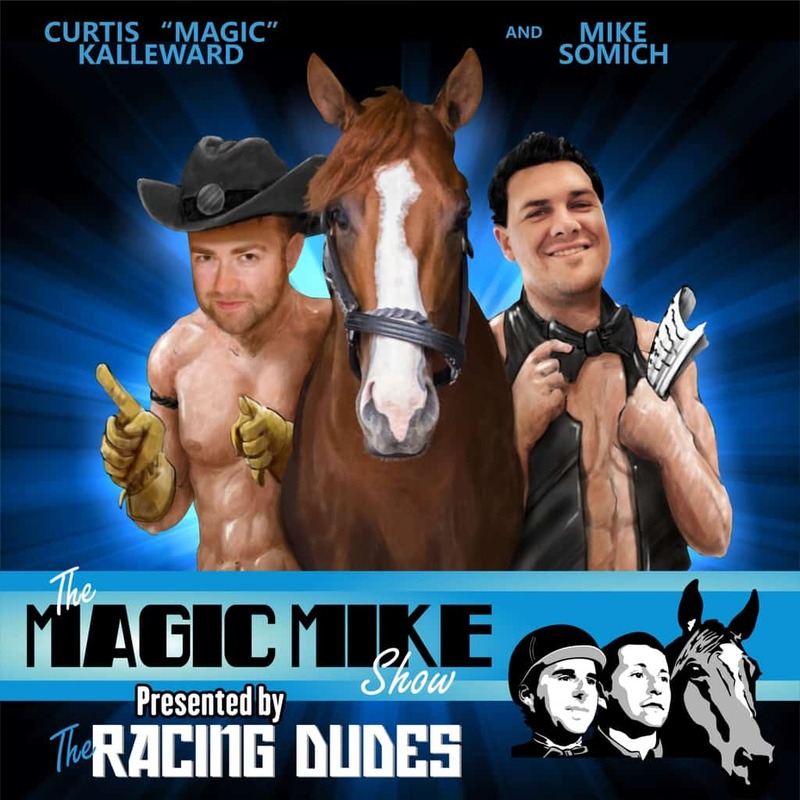 The Magic Mike Show – It was more bad news last weekend when Moretti was dominated in the Grade 3 Withers Stakes. However, their best horse runs this weekend in Dubai, when Walking Thunder starts in the Group 3 UAE 2000 Guineas. He won’t earn any points for that race, but anything positive for this team will be a welcomed sight. 10. The Fans: Austin and Bones – The good news is that this team is no longer in last place in the standings. The bad news is this team is really struggling, including disappointing efforts from Mihos and Big Scott Daddy last weekend. They need something to go right for them in a hurry. Vekmoa and Owendale need to become solid horses.